Fund Raising - Golf Events etc. Birmingham & District Deaf Children’s Society is a well established local Charity run by parents and friends of deaf and hearing impaired children living in Birmingham and surrounding areas. Our Society is here to give help and support to deaf and hearing impaired infants, children and their families. Our main aim is to give deaf and hearing impaired infants, children and their families an opportunity to get together for support and to exchange information. We have a full diary of great outings and events and meet throughout the year. We fund raise so we can organise regular social activities throughout the year. 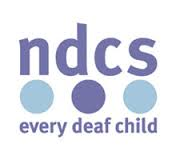 We are affiliated to the NDCS ( National Deaf Children’s Society) which allows us to make use of their resources, information and experience.